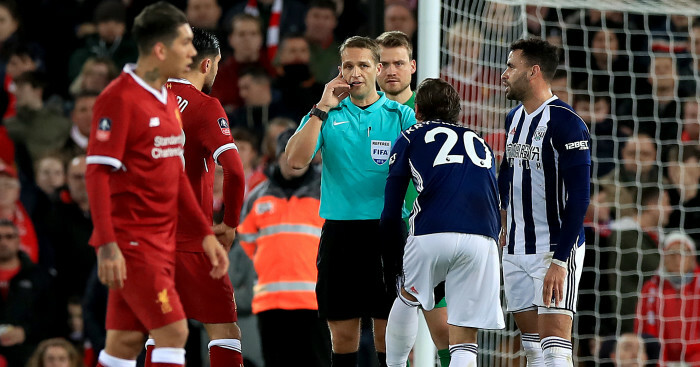 VAR took centre stage in the FA Cup this weekend in Liverpool’s defeat to West Brom, while Lee Mason has an afternoon to forget in Cardiff. A truly ignominious FA Cup performance from West Ham was summed up by Masuaku’s dismissal for spitting at the JJB. Eyebrows were raised in some circles after the bookies made League One Wigan firm favourites before the game. However their Premier League counterparts didn’t look or play like a top flight side and were well beaten on the day. 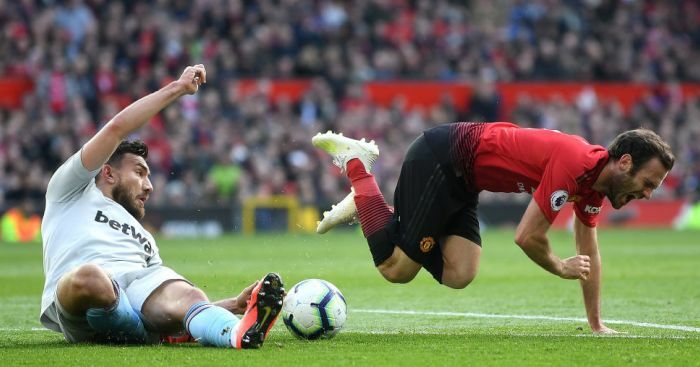 Masuaku has been handed a six-match ban after spitting at Nick Powell following a heavy challenge by the touchline early in the second half, with his own boss even branding his actions “despicable”. Over 4500 West Ham fans made the trip north to witness a feeble effort from the Hammers, who were not helped by a dubious penalty award to Wigan just after the hour. Reece Burke was penalised for handball when Will Grigg attempted to lift the ball past him but replays suggested it was more a case of ball to hand and Chris Kavanagh’s looks to have got this one all wrong. The Blades are into the fifth round for the first time in three years but it took a controversial penalty at Bramall Lane to see off Preston. PNE boss Alex Neil said afterwards “I think the disappointing thing is to go out to a contentious penalty. Having watched it back about six times, it’s still a wee bit inconclusive for me.” Tom Clark’s tackle on Billy Sharp – who was going away from goal at the time – was deemed illegal by Graham Scott. Such a tough call to be fair and while Sheffield United perhaps deserved the victory having played so well, it did look a soft award. 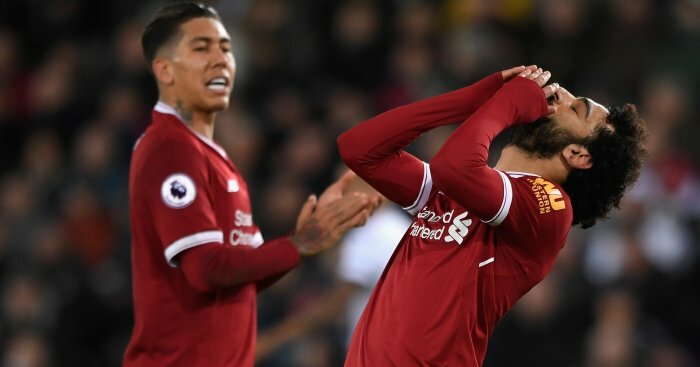 The VAR system dominated the headlines at Anfield after taking centre stage during a truly breathless FA Cup tie. 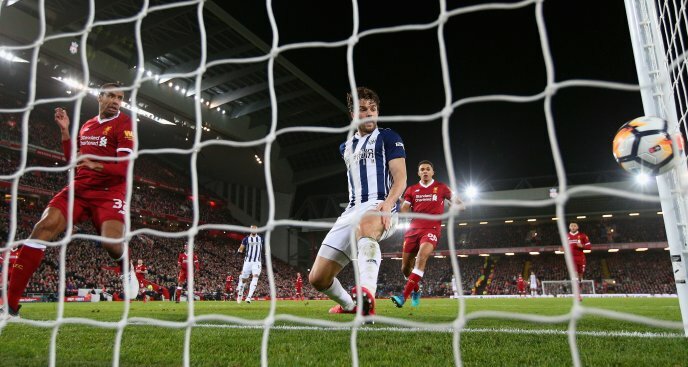 First of all, with West Brom leading 2-1 Craig Dawson beat Roberto Firmino to the ball and nodded them into a 3-1 lead. Or so we thought. Ref Craig Pawson went for VAR which correctly spotted that Gareth Barry, who was right in front of the goalkeeper, was inches offside when Dawson connected with his header. A bit of history here with the first ever pitch side VAR decision in English football. Good luck spelling Grzegorz Krychowiak in the pub quiz though, especially after five pints. The Baggies star tugged Mo Salah’a shirt in the box but Pawson original decision was to wave play on. Play was brought back however and after VAR was consulted a penalty (subsequently missed) was awarded. It was the correct call but critics of the system point to the fact it took over three minutes to conclude it was a spot kick. 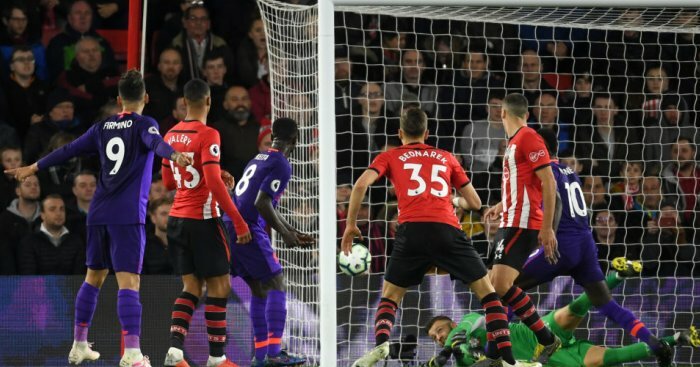 It definitely disturbed the flow of the game on Merseyside, and if refs become over reliant on VAR the game could well run into problems down the line. Pawson again signalled for VAR after Joe Matip bundled into his own net after the ball was turned goalwards by the lively Dawson. There was a suspicion of offside in the lead up but replays confirmed the goal was legit. Three big calls. Three correct decisions and despite old heads like John Motson calling for its removal already, it looks like VAR is here to stay. Where’s VAR when you need it then? To be fair Chelsea and their fans won’t be losing too much sleep after a facile 3-0 win over Newcastle, but Hazard was wrongly flagged for offside when clean through on goal. It was a great touch from Michy Batshuayi to Hazard, who was then flagged offside by the assistant… in his own half! Bizarre. 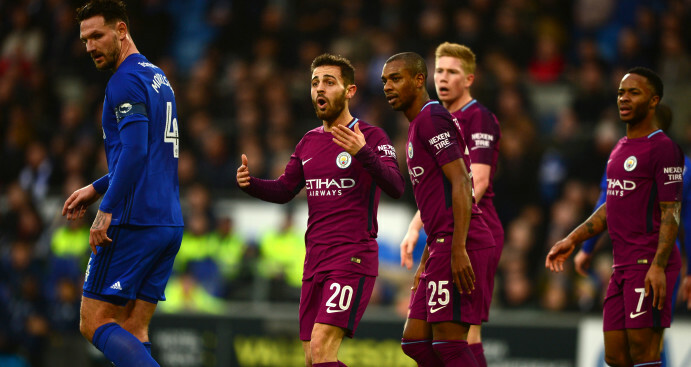 An absolute golazo by Bernardo Silva was disallowed with Leroy Sane judged to have been offside and interfering when he let rip from just inside the area. Sane was actually onside, though we are talking absolute fractions here though. That said, Pep Guardiola had every right to boot off with the referee from the touchline after Silva’s screamer was chalked off. Bennett was only cautioned for a filthy challenge that could have easily broken Sane’s leg. The young German was in full flight having travelled half the length of the field before Bennett’s thuggish intervention. Red card all day long. 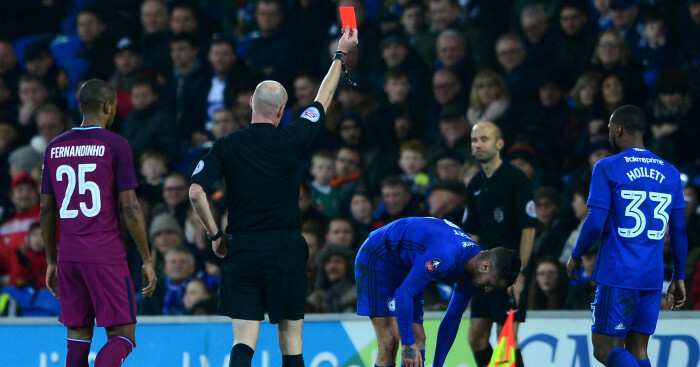 He was ironically dismissed in injury-time for a second yellow but should have walked long before that. 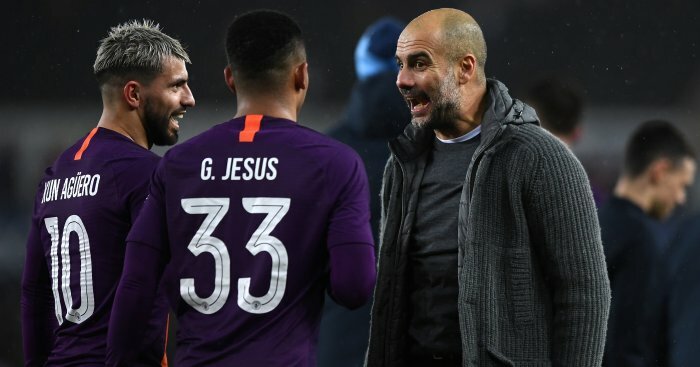 Despite a relatively routine 2-0 Pep Guardiola was incensed with the referee Lee Mason at the finish, who he felt clearly failed to protect his players by not dismissing Bennett for that shocking first half lunge. 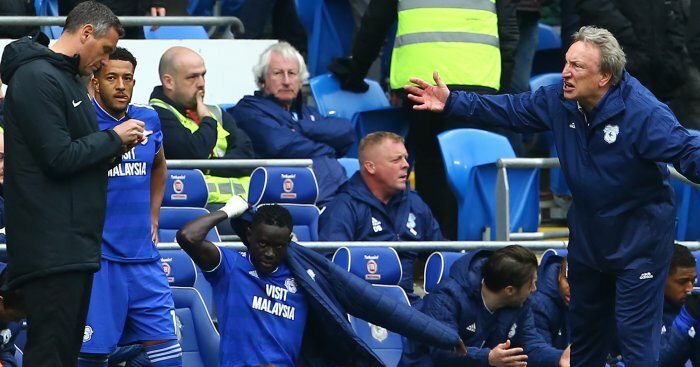 The vexed former Barca boss confirmed later that Sane will now miss two or three weeks with an ankle injury sustained at the Cardiff City Stadium. Chalking off a perfectly legitimate Bernardo Silva strike clearly can’t have endeared the officials to Guardiola either. 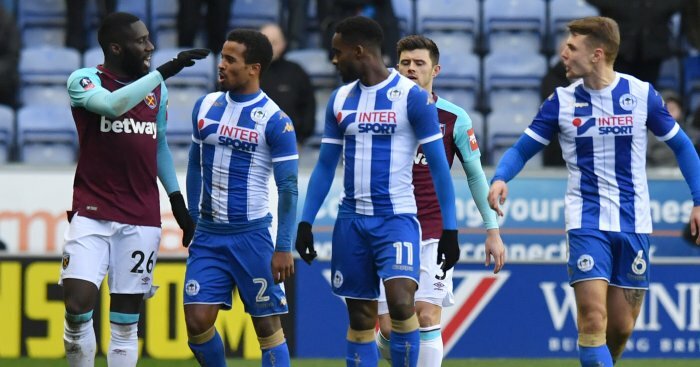 The referee didn’t see the incident but the TV cameras and Wigan’s players, including a furious Powell, certainly did. Arthur Masuaku faces a six-match ban after being sent off for spitting in West Ham’s dismal FA Cup defeat to Wigan, and he can have no complaints as there is simply no place for this type of behaviour in sport.